President Donald Trump will hold a Make America Great Again rally in northeastern Nevada on Saturday, following a rally in Arizona on Friday. The event will kick off at 11 a.m., PDT, at Elko Regional Airport, near 815 Murray Way, according to the president’s schedule. The town has a population of about 20,000 and is 229 miles west of Salt Lake City. 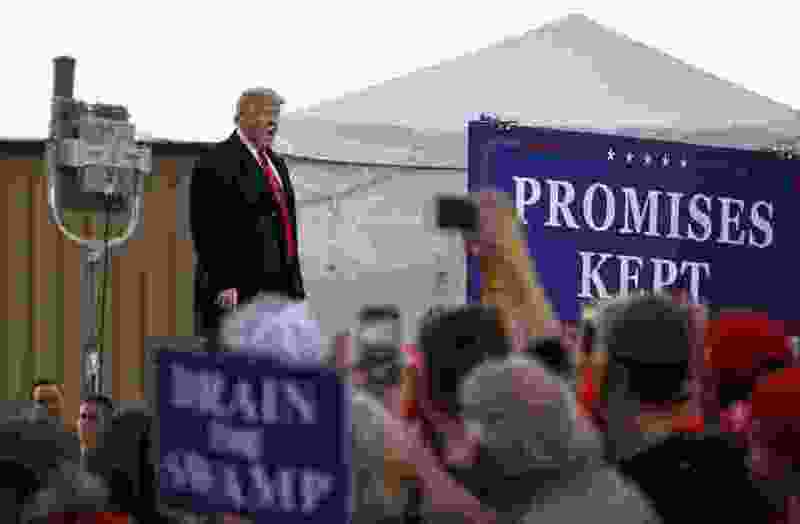 The Elko Daily Free Press reports the rally is being held in support of U.S. Sen. Dean Heller, a Nevada Republican who is up for re-election. The newspaper reported many local hotels were full in anticipation of the president’s visit. Following the campaign event, Trump will fly back to Washington, D.C.